Now, Ms. Walters is a favorite among the many Language Arts teachers here, as well as Journalism. However, there is something very peculiar about her that she isn’t quite telling us. The Journalism Investigative Team have come back again and found so many strange things that not even the world could explain. Now sit back, relax and eat a snack (that is healthy). Is Ms. Walters Secretly a Horse? Ms. Walters, if you are reading this, we don’t mean this in a mean way. Ms. Walters once mentioned that she was a veterinarian nurse before becoming a teacher. She also has several horse pictures inside her classroom. Everyone who has heard her read The Outsiders knows that she has a nice accent. We asked and she has clarified that she has a horse. While that may explain where that horsey smell comes, has anyone considered that she might actually BE a horse herself? Now, this may sound strange, but Ms. Walters could very well be a centaur which is half horse half human. However, instead of being half and half, she might be able to control it so that she could shapeshift back and forth from a horse and a human. It all makes sense now, doesn´t it? 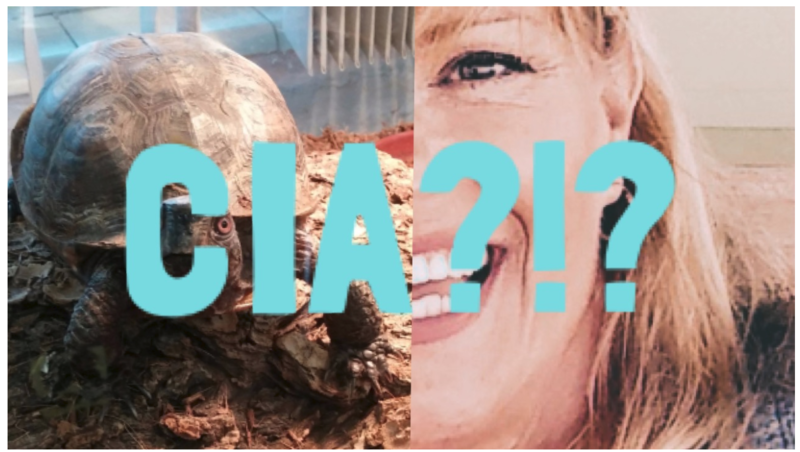 Are Ms. Walters and Turtlehead Part of the CIA? Now, this may initially sound weird, but it all makes sense. We all know that Turtlehead isn’t an ordinary turtle. He is so much more than that. Turtlehead and Ms. Walters seem to have some type of special connection. This may be working for the CIA. Ms. Walters seems to know everything that goes on in the Journalism room, even when she is not there. The reasoning for this must be that Turtlehead tells her everything that goes on. Turtlehead and Ms. Walters must be working for a special organization (the CIA). This is the only explanation for Turtlehead´s extreme super spy skills. Is Ms. Walters Secretly Mr. Yohn? Mr. Yohn is very suspicious and always seems to involve with Journalism a little bit too much. You see, Mr. Yohn always helps out with Journalism which is completely normal, however, what the Journalism Investigative Team has discovered is in the most quite strange. You see, although he helps with Journalism and what-not, none of the Journalism students have ever seen Mr. Yohn and Ms. Walters in the same room. Mr. Yohn must be using a mask to hide his true identity; Ms. Walters. Also, who could really get a hairline that perfect? This theory must be true. Now, Ms. Walters is a very good Journalism and Language Arts teacher. She always loves to help her students and get them far in life? However, Ms. Walters isn’t all what she seems. Ms. Walters has been caught making many strange animal noises randomly coming out of her like a horse, which proves the theory mention above. Most of these strange sounds are not humanoid. For example, one time while the Journalism students were talking, a random horse-like sound flew out of Ms. Walter´s mouth. This leads Journalism students to believe that she is being possessed by a horse. Well Cougars, are these theories true? Do you agree with us? Let us know in the comments below! Also, be sure to submit a response to the poll to vote on which teacher you think the Journalism team should inves-*cough victimize*tigate. Woah, that was a bad cough there. Until next week, have a great day! I think we all knew that Ms. Walters and Turtlehead were part of the CIA. I got a few random messages on my phone that someone or something tried to buy mealworms with my credit card. I have a debit card, not a credit card wooooops. Basically, it´s virtual cash. You know what WOULD’VE been much more relevant? Abby Kirby conspiracy theories, now that’s a fact. Don’t let her get away with those evil looks and deeds, even I’ve seen something strange in her involvements. A Mr. Yohn conspiracy part 2? Seems like we might be getting a Mr. Yohn conspiracy series. Mr. Mitchell won, looks like we´ll have to ruin his repu——. I mean, let´s see if there´s anything fishy with him. We can talk about the dollar bills he has in his room. Uhhhh.WHATTTTT DOLLAR BILLS????? PLease explain.